We are the proud dealers for the U.A.E for Niviuk, Paramania and Ozone Power. To us, these three brands represent the largest range of gliders in the sport and offer a fantastic selection of wings from School/Beginner all the way up to high-performance racing and tandem flying. E-Prop and Helix are our chosen brands of propellor, and we hold in stock a wide range of props suiting most engines. If we don't have the propellor for you, it's very likely we will be able to order to fit your engine. 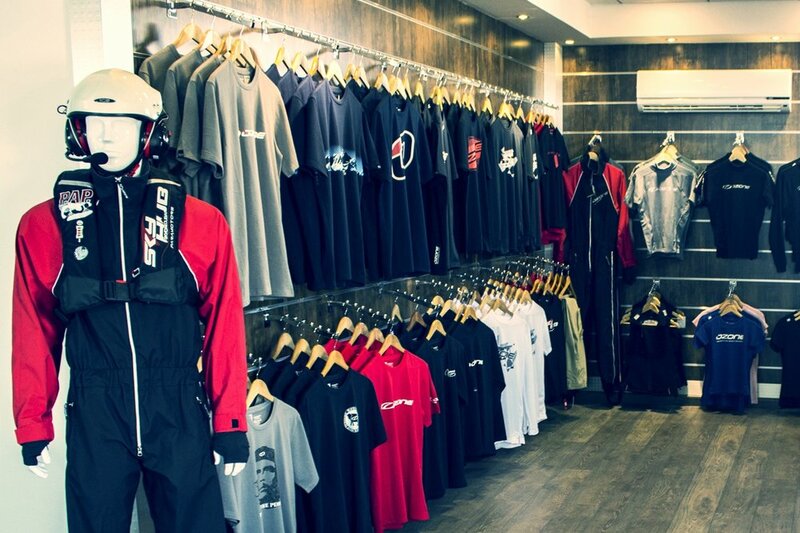 Our shop holds the largest range of Paramotor accessories in the UAE. Everything from Smoke Systems and Floatation Vests to T-Shirts, wind socks and Icaro 2000 helmets. Chances are if it's going to make you fly better or at least know what you are doing...we have it here in our shop.